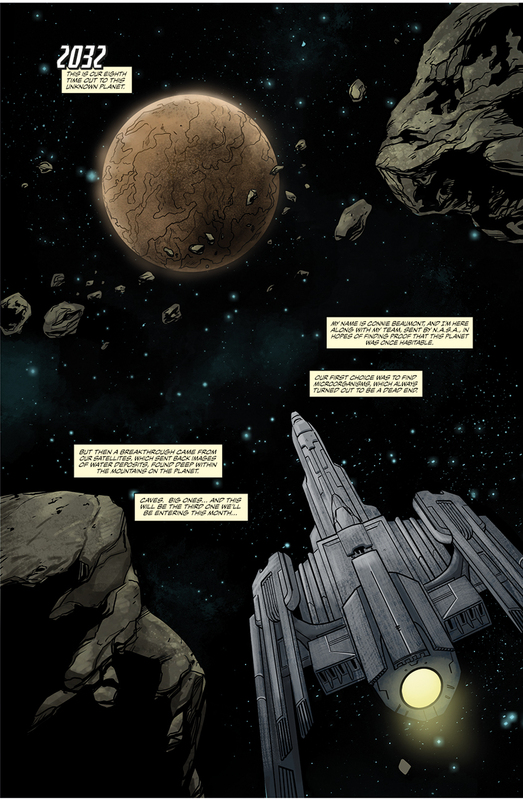 You are here: Home / Comic Posts / Featured Artist: Judas Breed Writer Ken Brown! Judas Breed Cover #4. Copyright PenInkColor Studios 2014. All rights reserved. As an Editor, I find it a really stupid argument. Both writers and artists (and colorists, letterers and editors for that matter…but we’ll tackle that at a later date) are integral to a comic books long term success. Great art can create an immediate buzz and drive impulse buys. And yes, great artists have their own devout followers. But it is great writing and dynamic storytelling that keeps people buying a comic. So, both are essential to a book’s success! Stop the bickering already. 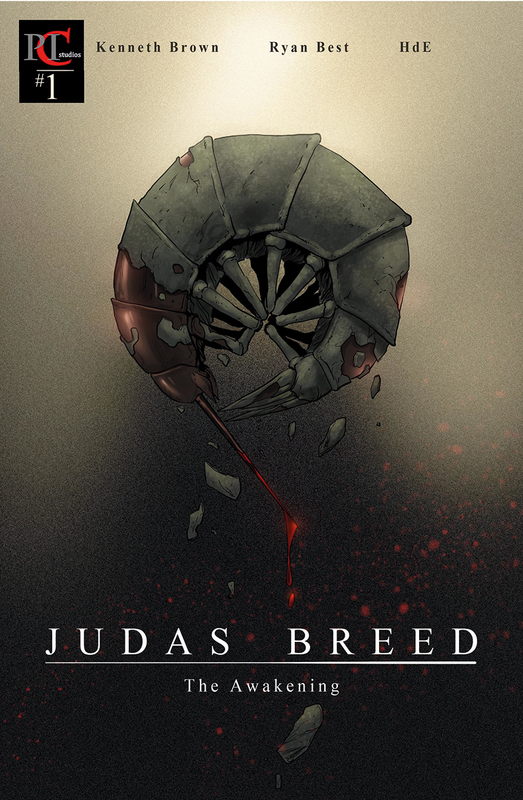 Judas Breed Cover #1. Copyright PenInkColor Studios 2014. All rights reserved. 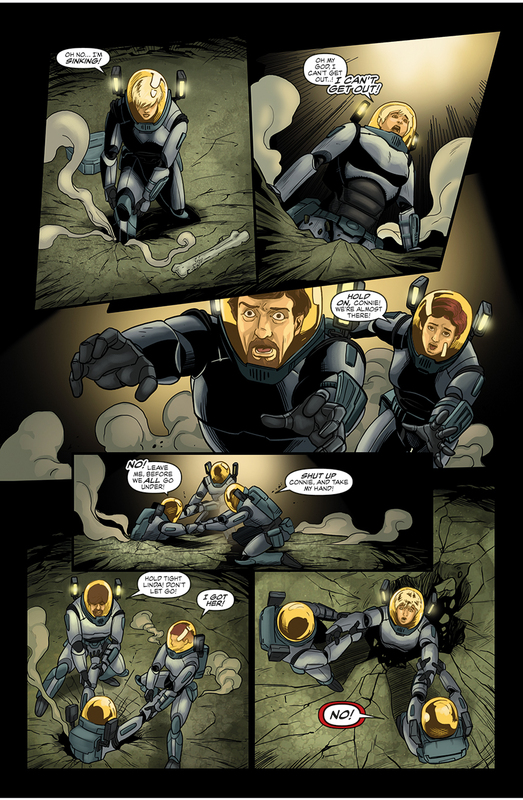 Judas Breed #1, Page 1. Copyright PenInkColor Studios 2014. All rights reserved. My name Kenneth A. Brown and I’m a self-taught freelance screenwriter and comic book writer, who has been writing short story since the age of 24. In the past twelve years, he has written four screenplays and recently decided to convert them over to comic book/ graphic novel format. I am the writer and creator of JUDAS BREED, launching my first issue comic book from the series titled, Judas Breed “The Awakening”. 2. Name a few influences (people/places/experiences) and why they are important or integral to your work. 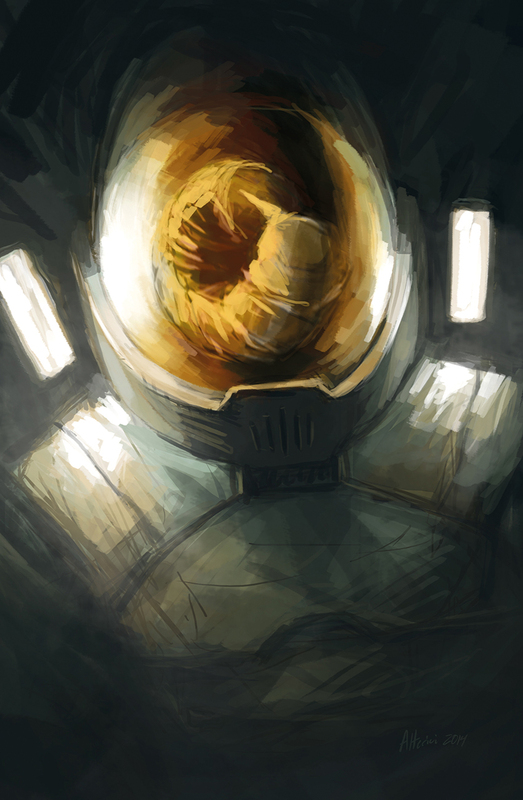 My first love is movies, and the people who influence me the most are Ridley Scott and James Cameron. I am captivated by their way of storytelling, either by way of filmmaking or scriptwriting. 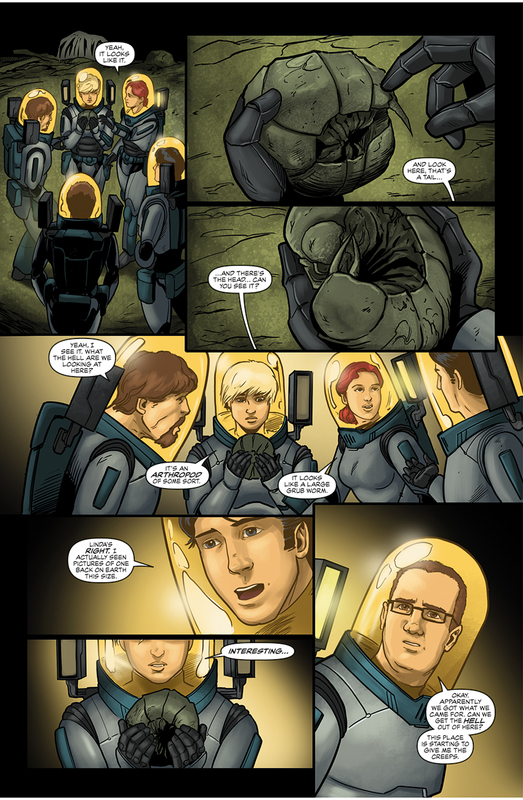 Judas Breed #1, Page 2. Copyright PenInkColor Studios 2014. All rights reserved. 3. What is your artistic process like? What particular media do you prefer? Why do you choose this media for creation/expression? My artistic process is writing. I love creating a world and the characters that live in them. My favorite thing to do in the writing process is creating dialog. I love trying to figure out what each character is saying or thinking. 4. Tell us about your current creative project(s) or job(s)? My current project is from a screenplay I wrote awhile back called, Judas Breed. I’m now in the process of creating a comic book series, launching my very first issue #1 titled Judas Breed “The Awakening” which was published in 2014. 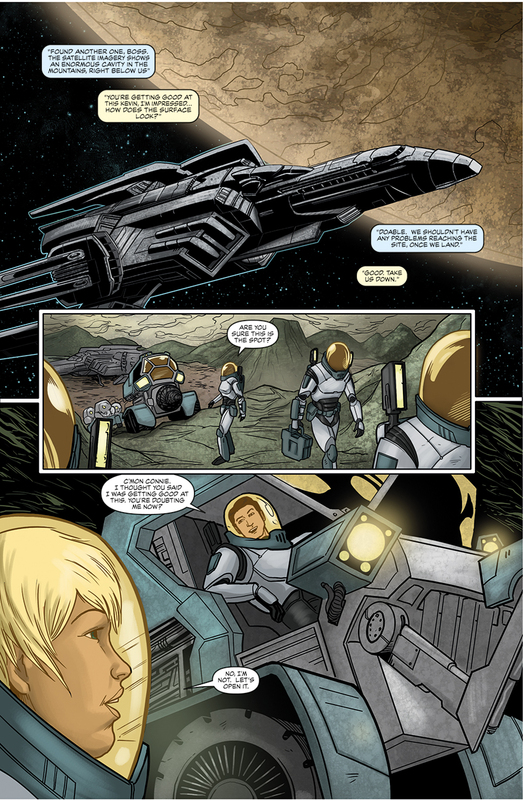 Judas Breed #1, Page 9. Copyright PenInkColor Studios 2014. All rights reserved. 5. Have you ever created something that actually scared you? If yes, why? If no, what’s the most disturbing artwork you’ve ever seen and why? There was this one image that I thought was pretty disturbing, it was an image a colonial soldier being rip to pieces by a huge werewolf. Blood is everywhere. The cool thing about the image was, that the soldier was clearly at his end but was desperately trying to kill the beast before he died. 6. How did you get into a career in art? Because I love writing as a form of art, I’ll tell you how my writing career started. After I saw the movie Alien and Predator, I was hooked ever since then….all I wanted to do after that was write and direct movies. 7. Any advice for people looking to express their creativity artistically? Any tips or tricks you’d like to share? My advice for anyone looking to express their creativity artistically is to find those who are already doing the things you’re trying to do and study them. If you can contact them, do that and become the best of friends with them, asking them all the question that got them where they are today. That’s what I did and till this day, I still have people that I looked up, contacting me to see if I’m still on track, AWESOME! Judas Breed #1, Page 14. Copyright PenInkColor Studios 2014. All rights reserved. There certainly are some similarities to Brown’s story and the greats of this genre (like Aliens and Prometheus, which isn’t much of a surprise considering his answer to question #2), but I’m looking forward to seeing it unfold. There are so many story angles to explore, so many fun ways a story like this can be told. If you’d like to learn more about Ken, his publishing studio, or his work, visit his website PenInkColor Studios. « Pressed Flower Art by Ignacio Canales Aracil!